Interested in Writing Stories Online? You can take steps to make sure you create the best short story possible. Follow these tips and get ready to build your online readership. First, you should figure out the five W’s for your story. You have probably heard this in school. • Who is the story about? If you are a beginning author, keep the character-count low. • What is going on in the story? Think about how you want to space out the action. • Where does the story happen? Determine where the action happens and describe the scene fully. • When does it take place? Pick a time frame and also decide if you are taking part in the story, or just observing and telling the story. • Why are you writing the story? You should have a good reason for writing stories online. Choose a program in which to type your short story on your computer. You can use Microsoft Office, although WordPad is completely fine. You don’t really need a fancy program to write a good short story. Begin typing – you can look back at your notes about the five W’s. It’s okay if you don’t spell every word correctly or if you miss a punctuation mark. The writer (you) can fix that later. When you get tired of writing, leave the short story and come back to it the next day. As you near the end, read it out loud to yourself and see how it sounds. You will be able to tell if something does not sound right. You can ask a parent or friend to proofread your draft if you like. When you have the story completely corrected and in order, you can cut and paste it to your blog. Blog readers will soon be leaving comments about your well-written story. 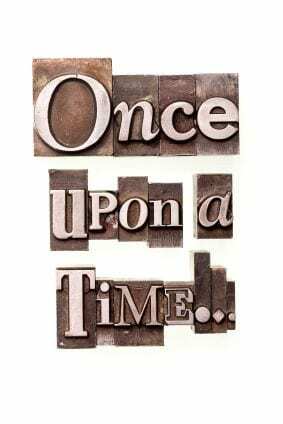 Short stories can also be submitted to kids’ creative writing websites. Add a photo that relates to your idea for some extra oomph. You will enjoy receiving feedback from other kids and get to see your work published online possibly. As you improve in writing stories online, you may want to expand your knowledge. Learn about plot, character, point of view, theme, and setting. Your short stories will continue to improve and you will have even more interested readers. Begin now with the five W’s and you can’t go wrong.